If you're not BAREFOOT, you're over dressed! 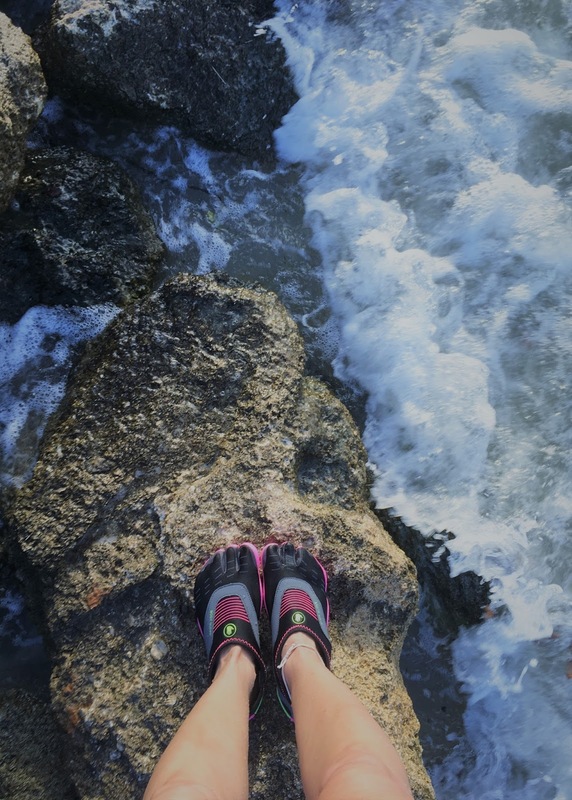 These amazing Body Glove water shoes were designed to make you feel like you are barefoot when you are wearing them. I got to try them out for myself, thanks to my friend Matthew at Body Glove Footwear and iSUP. They are everything Matthew described to me and more. I always thought they looked silly because of the "three toe" design however, the reasoning behind it all makes sense now. Body Glove shoes are a perfect reminder that it is what's on the inside that counts and we can't judge a book by it's cover. The special design and engineering is what makes you climb, walk and stand as if you are barefoot. They can be worn in and out of the water, with a special drainage system that also cools the foot when out of the water. Water moves easily from the upper area through the channels in the out-sole. I wore them climbing on rocks near strong waves and they saved me from falling in! I also felt comfortable walking in them on the wet rocks because they did not slip and I had balance as if I was barefoot. I was happy I remembered to tighten the straps around my ankles, like Matthew had told me. It prevented debris from getting inside my shoes. My Body Glove shoes got wet a plethora of times but they did not feel wet. It was great! Did you know there are many physical and mental health benefits to walking barefoot? These "barefoot" shoes include many of them; such as strengthening/stretching the muscles, ligaments and tendons in your feet while getting all the mental benefits of enjoying nature. Body Glove was started in 1953 by twin brothers and they now have products to fit all your water-sports needs. Of course, we can't forget about their cute bikinis. Great news for all my larger-busted friends. Body Glove tops go up to an F cup bra size. Yahoo! If you love the water as much as me, you should get a pair of Body Glove Barefoot water shoes and a matching Body Glove bikini. You never know when you'll need them and some water sports require that you have shoes. My Body Glove footwear even came with a bottle opener! I am so excited to wear them paddle boarding, wake skating and white water rafting! Adventure is out there!